Scenario: You've found a bug in your home that you don't recognise. You ask yourself "Is this bug dangerous, a threat to my family? Could it damage my house?" Where can you go to get answers and reassurance? One option is to call a local pest control company (exterminator) but this may not be your best option. Keep in mind that while many pest control companies will give you honest, expert answers to your questions their bias, their business, is to sell treatments not information. In the worst case they may sell you treatments that are not entirely necessary. Your best option (in the US) is to contact your local Cooperative Extension office (do a google search for "find local extension office"). Every US county has an Extension Office that serves to connect the local community to the subject matter specialists at the state agricultural university. The Extension office can get you in touch with experts at the university that can assist you with your bug questions, and these services are usually free. Many states maintain an "Insect Clinic" to which bug samples can be submitted for identification. One caveat - Extension can be slow especially during the spring and summer when most of their staff time is consumed by commercial agriculture clients. 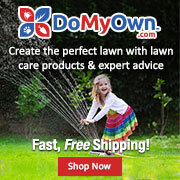 What if you want to do it yourself? You'll need a good hand lens (magnifier) and some reference guide books to start. Nowadays most bug questions can be answered with resources available online if you know where to look. First, get a good photograph of your subject bug and/or of the damage/injury you suspect is bug-caused. Even moderately-priced digital cameras usually have some kind of "macro" function which allows you to get a close-up picture. 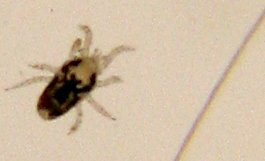 The image of the mite above was taken with an inexpensive digital camera in "macro" mode then enlarged with simple photo editing software. Unfortunately the cameras in cell phones may not be as useful because they typically don't focus close enough. 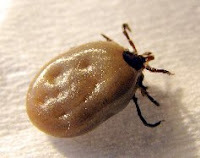 If you need more light on your subject an ordinary flashlight works well (see photo of tick). BugGuide - a large database of images catalogued taxonomically. An excellent resource if you have a pretty good idea of what you are looking for and just need an image for comparison. Does not accept images for id but you can post an image which other users may comment on. LivingWithBugs - this is my own site about home and garden bugs. What'sThatBug - images can be submitted for id but not all submissions are accepted because of their limited staff. Excellent photos for comparison but like BugGuide you'll need to know what you are looking for.